Few companies are so worthy of our support than Pop-up Opera. Last time I reviewed one of their performances, they were giving a free-of-charge Mozart double-bill the morning after their props and equipment had been stolen from a van. Now they are offering Peter Brook’s barebones version of Carmen, as arranged by him, Marius Constant, and Jean-Claude Carrière. Not that director John Wilkie and his team are content to offer that ‘straight’; they approach it with the imagination and interrogation one would expect, if not always receive, of any repertoire work. There are losses, of course, and I am not entirely convinced that the updating to 1939 at the close of the Spanish Civil War fits quite so well with Brook’s version. Not only, however, has it made me think – and continue to think; there were on this first night, in Peckham’s wonderful Asylum Chapel, some fine performances to enjoy irrespective of such questions. We have no chorus, just four principals; we have no orchestra, just a piano. The desire to recapture something of the work’s original opéra comique intimacy is a long-held one, quite valid. Even for the vast space of Salzburg’s Grosses Festspielhaus, Simon Rattle recently spoke and worked in such terms, albeit with decidedly mixed results. At any rate, surely no one would really wish to substitute those dreadful recitatives for the dialogue now. Brook’s determination to return to Mérimée is furthered – trumped? – here by the staging. At the dawn of Franco’s fascist new world, Don José is a disgraced, traumatised soldier, blood on his mind and on his hands. 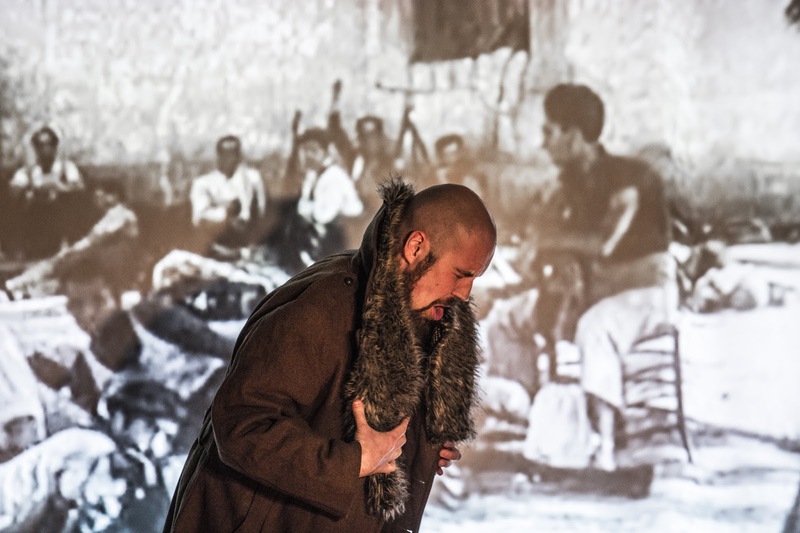 Having killed the cabaret performer Carmen on the street, having thus accomplished something similar to what his former Nationalist forces have done to the country as a whole, he now relives the experience in a series of flash backs. Much is cut; the whole performance lasts for eighty minutes. Film projections of war and its aftermath essentially take the place of the chorus, so that a sense of the social is retained. We gain perhaps an even stronger sense of Fate, not only from Don José standpoint but also from the cards’ foretelling. Carmen is thus not decentred, as one might have expected; even in Dmitri Tcherniakov’s brilliant rethinking for Aix, her initial decentring paradoxically gave new birth to as character rather than icon. She is rarely off stage and becomes perhaps more than ever a progenitor of that ultimate operatic femme fatale, Berg’s Lulu. Problems persist: is she merely a projection of male violence? Yet our sympathy is engaged, which is surely the crucial thing. Chloe Latchmore’s performance here proved quite mesmerising, whether in vocal terms or stage-presence. Satriya Krisna, Alice Privett, and James Corrigan all proved deeply impressive, in both ‘traditional’ and ‘reimagined’ fashion. To be more than a caricature, Escamillo needs something. Here his return to war and parallel trauma certainly offered food for thought. Berrak Dyer’s musical direction from the piano proved duly heroic, offering a window onto what we might have heard, what we thought we remembered, as well as what we actually did. Which, in a way, is what La Tragédie de Carmen, both ‘in itself’ and in this further reinvention sought also to do. The purely electronic Telemusik opened the first concert. If I say that it sounds more than ever a work of its time, I do not mean that in a disparaging sense; it does not only sound as such. But there is something engagingly remote – just as there will be for Mozart – as well as close to us in hearing such a work; it is now, as indeed one might say of any of these works, a classic. The lights went off. A projected sun appeared above the stage. Who knows which? Our own, under which the languages and cultures of the world make hay before the end of days? Sirius? Some other? A generic light, even? We seemed to hear its rays, their light, their refraction, even perhaps reflection (in whatever sense you care). Songs of the world, of some other world, were heard, sung, chanted, reinvented. A world of music(s) was ours and yet was not; it was now of the past, almost as if we had visited it, as Stockhausen once had visited us. And with that, we made our own synthesis – even in, perhaps particularly in a work without visible ‘performance’. Make of that what you will; that, perhaps, is the point. Refrain, for three performers (Benjamin Kobler on piano, Pierre-Laurent Aimard on celesta, and Dirk Rothbrust on percussion), came next. If Telemusik offered ritual of a sort both old and new, so too did this. I could not help but wonder whether Boulez had occasionally had it in mind as a precursor to his orchestral Rituel in memoriam Bruno Maderna. It was mesmerising to watch as well as to listen to; the distinction seemed perhaps unusually false. Serialist theatre, in which freedom and organisation were revealed as two sides of the same coin, revealed silence also to be as crucial as it would be to Bruckner (that despite the giggles of two audience members next to me). Those strange cries of – to? – another world seemed already to look forward to Mantra and the Inori I was fated not to hear. What an array of instruments one sees and hears in Zyklus, for solo percussionist. I say that not simply, or even principally, in terms of quantity; anyone, given a budget, can offer a large number of instruments. But here the arrangement, the interrelationship, the unity in diversity and vice versa again suggested a form of serialist music theatre for all the senses. Rothbrust’s virtuosity was astounding, but it rightly never came across as mere virtuosity; this was a performance, an act of formal revelation. Variety of attack and reverberation struck as the work of a piano writ large: again, surely implications or at least parallels for later works by both Stockhausen and Boulez. Bells seemed to recall in context both previous works on the programme. Aimard and Kobler both crept into the hall to listen, their collegiality richly rewarded indeed. After the interval, Aimard, Rothbrust, and Marco Stroppa (electronics) gave us another fine performance: this time of Kontakte. A spatial element always seems to bring out something very special in Stockhausen – and so it was here. 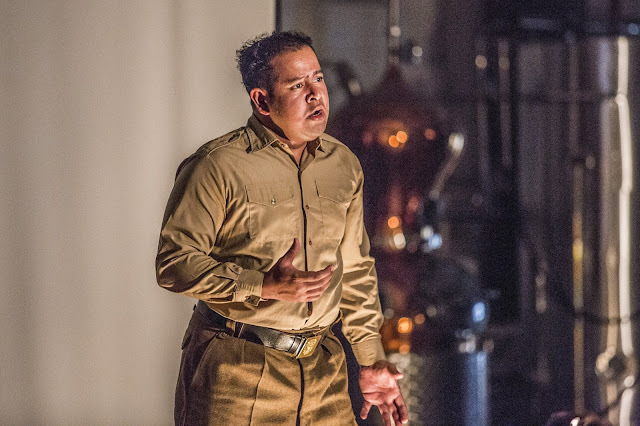 So too does theatre, of whatever kind, the piece initiated by Aimard’s rising to sound – not necessarily in the way the innocent eye and ear might expect – the gong: a moment and sound with clear implications for what was to come. Electronic sounds enhanced, responded, developed, just as any other chamber music response, if we may call it that, would. Rothbrust and Stroppa reminded us that percussion and electronics the growth sections of twentieth-century music, perhaps not only Western art music. If anything, they – and Stockhausen – helped here to revive the fortunes of the piano. Not, of course, that an artists such as Aimard needs any such help, nor is his part restricted to the piano. His part at times seemed to take off where the clusters of the tenth Klavierstück had left off. What virtuosity there was to be heard here, both solo and ensemble: this was, as so often with Stockhausen, music both as we knew it and as we did not. Transformation – to be traced back, if we wish, through Schoenberg and Liszt to Bach – was very much a key to that work’s unendliche Melodie, to borrow not entirely inappropriately from Wagner. 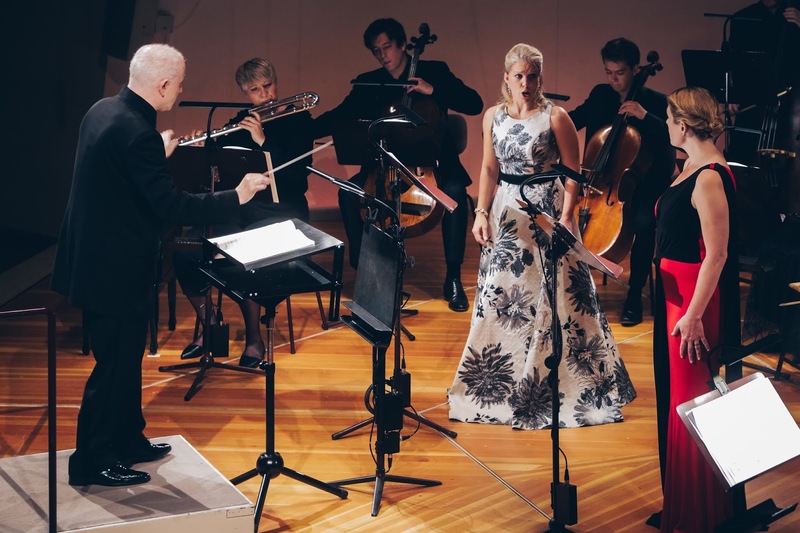 So too it was for Mantra, at the Kammermusiksaal, in which Aimard and Stroppa were joined by Tamara Stefanovich. Stockhausen was quite clear that the unfolding of this work was not to be understood as variation form, whatever it might seem to have in common with such writing – and performance. For there is no variation as such, although there is much expansion and contraction: perhaps not unlike another star or how we see, feel, and think about it. So it was here, a fine, crucial line trod with care, understanding, and the keenest sense of drama. That drama here, as elsewhere, was architectonic, just as the architecture was dramatic. It was at times absurd: absurd in its seriousness and absurd in its child-like absurdity. These were players, these were outstanding performances in which we knew we were in the safest as well as the most thrilling of hands. We could therefore surrender to the telling of a story just as much as to the progression of a ritual. The more we listened, the more we watched too, the more we heard and experienced. Form – its importance can hardly be exaggerated here, both in itself and for so much later music – was once again revealed in and through performance. 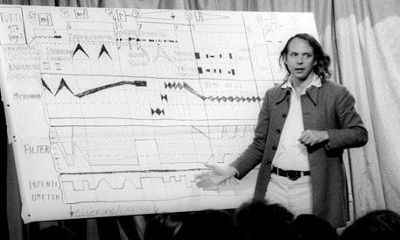 One marvelled in what Stockhausen elicited, what he re-invented, but above all in what he said, in what he sang. A staccato sounded, perhaps even signified as if it had never done so before, so too a tremolo, so even did an arpeggio. If Schoenberg had felt the air of another planet, perhaps this was indeed the sound of something that lay yet further beyond. How to follow that? With a violin concerto, of course, in this case Bernd Alois Zimmermann’s. The orchestra’s inheritance from Stravinsky remained clear, even if the soloist’s response was initially – this is far too protean a work for such generalisations to hold for long – closer to Berg. And so, Carolin Widmann, Roth, and the BPO took us on a thrilling, wayward journey, the first movement sardonic yet unquestionably ‘felt’, its final peroration earth-shattering. Piano incited, invited the violin’s central fantasia, that movement’s celesta enigmatic as ever. Orchestral depth in string unison resounded just as it might have done in Bruckner. Here as elsewhere, Roth’s expert, unassuming handling of climaxes proved second to none. It was rather as if late Prokofiev had taken a trip. Much the same might be said of the finale, although here it was an earlier Prokofiev of the Second Violin Concerto rather than Cinderella. The echoes – one might, uncharitably, put it a little more strongly – of Stravinsky’s Symphony in Three Movements came through loud and clear, but they were gone before one knew it, xylophone having launched into a solo Danse macabre for a new age that had not yet forgotten its pre-war roots. Bach too was to be heard, certainly in the cadenza. What an exhilarating, polystilistic mix! The second half engagingly interspersed the three panels of Debussy’s Images, in the order ‘Gigues’, ‘Rondes de printemps’, and ‘Ibéria’, and two works by Ligeti: Lontano and Atmosphéres. ‘Gigues’ offered mystery that was clear and clear-eyed, rather in the line of Boulez’s Debussy, yet certainly not to be reduced to that. Roth struck a typically fine balance between what Boulez and his generation would call musical ‘parameters’: rhythm against – or with? – insidious harmonies, and so on. Lontano seemed to pick up with respect to pitch, timbre, and more; this was a Klangfarbenmelodie of sorts, with roots. Even a strange electronic interference – a hearing aid? – with the tuba seemed curiously apt, all the more so when I realised that it was in fact the violins! ‘Music of the spheres’ is a cliché, but here it seemed the right cliché. This was as well shaped, balanced, and played a performance as I have heard – at least. What could not be changed by such listening (and performance)? ‘Rondes de printemps’ certainly seemed to have been. I found myself better able than ever to make connections with ‘Gigues’ too, perhaps especially with respect to relationships between harmony, rhythm, melody, timbre, and so on. Debussy here positively demanded to be heard with hindsight. And yet, his music remained as elusive as ever in a truly mesmerising performance; this is and was no zero-sum game. 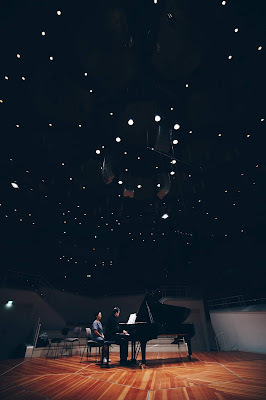 Atmosphéres again offered the challenge only to connect, its woodwind unquestionably Stravinskian, chords emerging that I could have sworn I recognised from Debussy. Did I? Does it matter? Swarming double basses suggested electronic viols. Transformations and contours were once again expertly shaped by Roth – and, of course, by this great orchestra. It closed with one of the most magical fadings a niente I have ever heard. I have no doubt that memories of hearing Pierre–Laurent Aimard play the first eleven Stockhausen Klavierstücke will remain with me forever: like hearing Maurizio Pollini in Chopin or Daniel Barenboim in Beethoven. Not so much a performance of the year as of a lifetime, this recital proved just as all-encompassing and arguably still more necessary. Certainly no one present would have been left doubting or denying, in what would have been his ninetieth-birthday-year, Stockhausen’s demand to be heard alongside those and other past masters. The fourth Klaverstück sounded both similarly and as a response. Already my ears – and, I am sure, the ears of the audience more generally – were adjusting, hearing by virtue of Aimard’s outstanding performance the relationship between all musical parameters not only set before us but dramatised. This Stockhausen was an heir to many, but was without doubt a Teutonic heir to the Messiaen of the second of the Quatre études de rhythme, ‘Mode de valeurs et d’intensités’: that extraordinary, in many ways quite atypical (for the composer), first essay in ‘total serialism’. Any lingering Romantic doubts would instantly have been silenced. Can, for instance, dynamic contrast be ‘expressive’ if it is non-negotiable? Of course: all we need do is listen. Stockhausen’s music revealed itself – or rather, was revealed by Aimard – as sonorous architecture in time just as much as Beethoven’s. Building of voices in the second Klavierstück seemed again to have some points of correspondence with a Bach fugue: only superficially, though, for this was no one other than Stockhausen. And yet, the sense of variables as heard in ‘traditional’, earlier music continued to grow in Aimard’s performance of the first: interacting, converging, just as they would in Bach or Beethoven, alongside a ‘new’ understanding of them, perhaps long since forgotten, as musical ‘parameters’. Its emphatic final note, sustained, reverberating seemed to ask: is this a climax, a reconciliation, something new? Perhaps more important, it also seemed to ask whether such questions, such Romantic remnants retained any meaning. Number five came fifth. In Aimard’s hands, it opened as if a ‘Jimbo’s Lullaby’ for the fifties, albeit with none of Debussy’s equally challenging vagueness. Such precise, magical variation in reverberation was not the least ‘expressive’ device to be heard here. Intervallic listening – a remnant of Webern? – will perhaps always throw up some oddities; a leaning upward minor sixth suddenly suggested to me the opening of Tristan. But that is hardly an issue unique to this music; and, in any case, why not? Furthermore, one is not listening to such intervals in isolation. Context is crucial, however ‘context’ may be considered. The eighth proved jaw-droppingly different in character, the contrast between what I heard as metre and its bending suggestive of a reinvention of rubato, both ironic and utterly sincere, unquestionably hard-won. The seventh sounded with particular force as a response to other music: both heard here and elsewhere, perhaps even Boulez’s Second Sonata. The opening repetitions of C-sharp, always with different resonance, offered somehow a focus on something both comprehensible and incomprehensible. (Is that not the case with any music worth our time?) 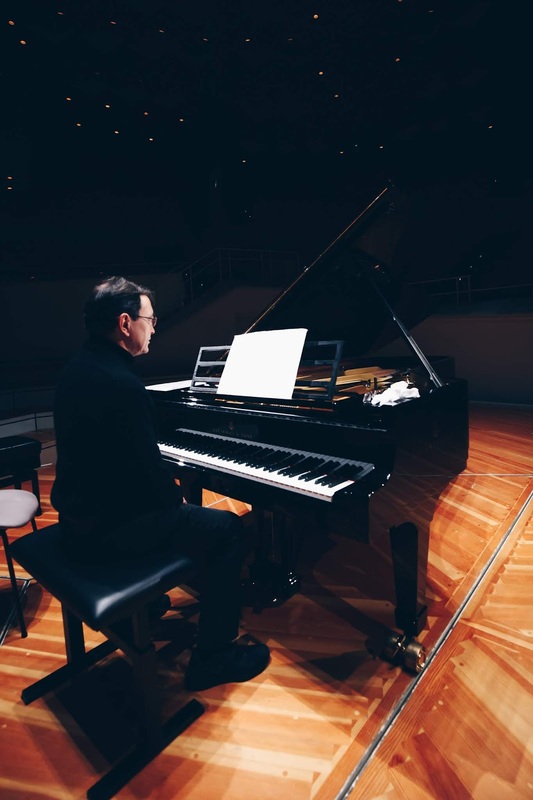 No one listening to Aimard’s performance could doubt the constructivism at work here that seemed somehow to blossom into something strangely akin to a reinvention of the sonata principle. Perhaps not entirely coincidentally, I started to hear intimations of Liszt. The first half closed with the sixth Klavierstück, which struck, at least to my ears, a note of defiant struggle, both traditional, even Romantic, and not. By now, the piano was sounding more and more as an instrument reinvented, our very experiences and ideas of sound and listening having been transformed. Somewhere, perhaps, in this aural penumbra were the seeds of Stockhausen’s more overt later mysticism. And yet, this remained music as generative, as dialectical as Beethoven. Intensity of work and performance alike had become close to unbearable; time, then, for a drink. The second half opened with the eleventh Klavierstück. Rightly or wrongly, I very much felt here that typical ‘after the interval’ reinvigoration. These things matter, however much Stockhausen may (justly) have disdained our traditional concert-going practices. It was certainly not a negative thing: pitches, intervals sounded renewed in themselves rather than hermeneutically. Did the hoary Romantic idea of ‘absolute music’ have life in it yet? There were flashes of a not un-Boulezian frenzy and fury to be heard, though the architecture could hardly have been more different. I started to think of material, even poetic contrasts between swirling, serial constellations in the sky and something more traditionally, even harmonically grounded. Rotation was the thing here, I think, although I could not explain why. Poetic control, a related idea, was the one that came to me in the ninth. It was evocative – but surely of ‘itself’. What a sense of drama it nevertheless possessed. Not the first but certainly the most grievous of the evening’s telephonic interventions blighted a good few of the closing seconds. For the tenth and final piece, Aimard put on his fingerless gloves. He and Stockhausen taught us once again, even more thoroughly than before, to re-listen – even before the truly shocking physical, musical drama of those celebrated cluster glissandos. It was not so much difficult to credit that there were only two hands – two arms, really – playing as difficult not to credit that there were not twenty. Two ears certainly seemed insufficient to listen with; alas, that was all I had. Radical hardly seemed the word; again, it was all I had. Something quite extraordinary happened during the piece’s course: through the swirling cauldron contents of cluster reverberation, a world was put (back) together. Order out of chaos? Once again, this music, these performances reached back to Bach and beyond, and forward to Stockhausen’s own Licht dramas. As I said, the performance of a lifetime. Schoenberg and Benjamin offered a fine welcome back from Berlin and its September Musikfest to a prodigal son – especially so since, only the previous day, I had both received the first proofs for my Schoenberg biography and heard an excellent paper from George Haggett on Benjamin’s Written on Skin at OBERTO’s annual conference. 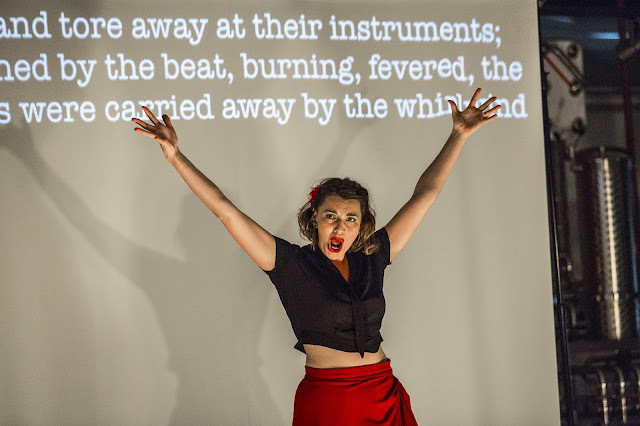 Truth be told, there was for me little in the way of obvious connection between the two works on offer, save for the question of narration, brought very much to the fore in Martin Crimp’s libretto for Benjamin’s Into the Little Hill, yet also surely apparent in Verklärte Nacht. Who is telling this story – and on what authority? Two very different genres, composers, ensembles, musical styles and languages nevertheless elicited two memorable performances, Into the Little Hill outstandingly so. An expansive, almost Straussian vocal account of ‘An eine Äolsharfe’ opened the selection from Wolf’s Mörike-Lieder. Repetitions of the words ‘wie süss’ were operatic in the best sense, at least so far as Lieder-singing is concerned: alert to a drama that needed no stage. Ghosts of Schubert and Wagner – composers far too little considered together – haunted ‘Das verlassene Mägdlein’; indeed, Schoenberg, in one of his many synthetic not-quite-reconciliations came to mind too. Intervals proved properly generative, Webern within an aural stone’s throw. Relief and instability characterised ‘Erstes Liebeslied eines Mädchens’. Each song was unquestionably considered on its own terms, yet formed part of a programme too: following on, contrasting, questioning. And so, when the opening of ‘Denk es, o Seele!’ seemed reminiscent of ‘Das verlassene Mägdlein’, it was equally important for it to proceed as it did, very much in its own way, albeit mediated by the experience so far. ‘Verborgenheit’ offered a dark, almost operatic climax to the set that yet offered something of necessary or at least anticipated reconciliation: again not entirely unlike Schoenberg. The second half was given to Brahms. Alte Liebe’s simplicity was apparent – until one listened to the piano harmony: never exaggerated, yet ever so telling. A noticeably later (1888 to 1876) Auf dem Kirchhofe suggested that special vehemence one often hears in the late piano pieces, its Bach allusion poignant on many levels; we were reminded once again just how much the entire German musical tradition owes to the Lutheran chorale. Röschmann’s evocation of life surging through the veins as the moment of transformation in Unbewegte laue Luft suggested, not inappropriately, the ‘namenlose Freude’ of Fidelio, whilst the early Liebestreu (1853) sounded intriguingly close to a recollection of Senta’s Ballad that yet ended in soft-spoken (sung) tragedy. Meine Liebe ist grün and Wir wandelten both did – and expanded upon – what their titles and poems suggested, both seemingly preparing for the moments of frozen time experienced in Nachtigall. A final Von ewiger Liebe seemed to want to return to the earlier world of Schumann, yet could not, exploring instead its own, beautifully judged melancholic passion: echt-Brahms. And yet, was that just a hint of proto-Mahlerian irony? Or was that just me? We were left to wonder – and indeed to desire more, which we received in two finely contrasted encores: Schumann’s Die Lotosblume, in which a similar tension between the ironic (Heine) and the sincere (Schumann) was to be heard, and reconciliatory Liszt, in the guise of Es muss ein Wunderbares sein. As with so many genres – symphony, string quartet, piano sonata – Beethoven seems to have come to the piano trio at just the right time. So, at any rate, our understanding of musical history, inconceivable without him and his music, informs us. Growing out of later Baroque chamber music – solo instrument and obbligato keyboard, probably harpsichord, in two parts, with or without formal cello doubling of the bass line – the piano trios of Haydn and, later, Mozart paved the way (which is not to understand them only as having paved the way). As the early sonata ‘for piano with violin accompaniment’ gave way to a true chamber partnership, a ‘violin sonata’ in the modern sense, so did a relationship of equals emerge between violin, cello and piano and, in a few cases, between alternative ‘piano trio’ formations, for instance viola, clarinet and piano, as in Mozart’s ‘Kegelstatt’ Trio KV 498. Haydn proved the true emancipator of the cello, so much so that, by the time of his later and Beethoven’s first trios, the violin-cello-piano formation was both favoured and standard – Beethoven even arranged his Second Symphony thus. He also used the formation in other, relatively ‘minor’ works: an early, short three-movement work in E flat major WoO 38, found and published after his death: the Variations on ‘Ich bin der Schneider Kakadu’ op.121a, most of which was probably written in 1793–4, although published much later; the B flat major Allegretto WoO 39, written as a gift for Maximiliane Brentano in 1812, again only published posthumously; and the Variations on an original theme in E-flat major op.44 (an early work whose opus number is again misleading). The 1797 Trio for piano, clarinet and cello, op.11, may also be performed with violin instead of clarinet. Beethoven’s most important contributions, however, are generally held to lie in the six ‘official’ piano trios. We start at the beginning, with the first trio from Beethoven’s official op.1, that is, the set of three works Beethoven considered important enough, in 1795, to designate with that number. The Nine Variations on a March by Dressler for piano, published earlier, were not afforded that honour; nor were a number of intervening works. There is something undeniably special, debts to Mozart and Haydn notwithstanding, to this epiphany. All three op.1 works were first publicly performed in 1793 or 1794 in the house of Prince Lichnowsky, to whom the set is dedicated, although much of their music had likely been conceived, and some of it written, in Bonn, prior to the composer’s move to Vienna. Like the first set of piano sonatas, op. 2, the trios are all written in four rather than three movements, as would prove the pattern for all but one of Beethoven’s subsequent essays in the genre. They garnered their young composer significant attention, both as composer and pianist – even if, as Marten Noorduin has pointed out, the first official review seems to have appeared more than a decade after publication – and a handsome profit from sales. The Piano Trio no. 1 in E-flat major, op. 1 no.1, bears that typical early – and not only early – Beethoven language of Mozart neoclassicised, textures slightly fuller, perhaps closer to later Haydn, with an approach to structure that certainly owes more to Beethoven’s acknowledged teacher. The key had been a favourite for Mozart in all manner of genres, the aforementioned ‘Kegelstatt’ Trio included. Here, in the first movement’s sonata form and beyond, we hear (and feel) Beethoven confidently playing with the inheritance from his two masters, such play never capable of mere reduction to ‘influence’. Subdominant colouring following the first bar’s ‘Mannheim rocket’ announces a composer confident in his mastery of the Classical tonal universe – and already in possession of many elements of personal musical style. Sforzando accents in the hymn-like second subject, while hardly unprecedented, are intensely personal. Much the same might be said of the lyrical second movement. Again, its theme bears kinship to Mozart as melodist, while sounding slightly ‘later’, referential perhaps as well as reverential. Melodic turns seem conscious of their neoclassical distance from their Classical master, perhaps even longing to bridge a historical gap that belies mere chronological proximity. Further subdominant colouring proves frequent, this rondo already having moved to the subdominant, A flat major, of the work as a whole. The sprightly, even skittish scherzo and its relatively more relaxed and intimate trio again play with the tonal relationship between E -lat major and A-flat major. Such play is all the more apparent given the genuine tonal ambiguity of the scherzo’s opening, which we seem to hear as a modulatory passage from the slow movement. When are we certain that the movement is actually ‘in’ E-flat major? Not for some time. If the finale’s conception of sonata form has roots in Haydn, the developmental nature of the recapitulation works on a scale lying beyond, looking forward even to the ‘Eroica’ Symphony. Likewise, the surprise of its tonal upward shift of a semitone, to E major, the return to E-flat major accomplished not without a touch of authentic Beethovenian violence. The invention implied and unleashed by the almost bizarre opening phrase – bizarre until we appreciate, if only retrospectively, what it musically suggests – will never be normalised. Beethoven wrote the two op.70 trios while staying on Countess Anna Maria von Erdődy’s estate in 1808. He would express his gratitude for her role in helping negotiate him an ‘annuity agreement’ with three patrons the following year by offering her the dedication of this set. The second of these trios opens in a fashion it is difficult not to consider ‘symphonic’ – if only with hindsight. There is a slow introduction, the relationship of whose material to the exposition proper is both clear and complex for players and listeners alike, neither section quite making full sense without the other. As Charles Rosen observed in Sonata Forms, once slow introductions had become more common in symphonies around 1780, ‘it was perhaps inevitable that they would be more closely integrated with the allegros that followed, not only thematically but also by their reappearance later in the faster tempo’. That happened in opera too, for instance in Haydn’s Armida. It also worked its way back into instrumental and chamber music, whether at the original, slow tempo, such as in Beethoven’s ‘Pathétique’ Sonata, or, as here – and in Haydn’s ‘Drumroll’ Symphony – at the new tempo and rhythm. The cello, following on from the ‘Ghost’ Trio, op.70 no.1, often takes the lead, not least as initiator of contrapuntal discussion. If ever it had been a junior partner in Beethoven’s trios, it certainly is not now. A preoccupation with trills seems to hint at the composer’s late style. So too does the blurring or, better, witty complication of sectional boundaries. A further instance of that is offered by the recapitulation’s creeping up on us, most likely without our having realized, the piano this time ‘correcting’ the cello’s bold assertion of the ‘wrong’ key of D-flat major with the tonic of E-flat major. The slow movement’s double variation form, in C major and minor, once again takes its leave from Haydn, although surely by now more in homage than influence, should it be conscious at all. One would expect the minuet – even if, by now, one did not expect a scherzo – to return to E-flat major; instead, Beethoven moves to the subdominant, A-flat major; its trio shifts again, to C major. This is the first comparable instance in Beethoven’s oeuvre of movements in three different keys. It would seem that meant something to him, for he would use precisely the same three keys the following year in the String Quartet No. 10 in E-flat major ‘Harp’, op.74, albeit in a different order. G major and C major, both a third apart from the tonic, play important roles in the finale, whose playful and, to employ the inevitable cliché, genial spirit again suggests that Beethoven, the impetuous, often difficult pupil, had made his final peace with the frail Haydn, who would die little more than a couple of months after the 1809 ‘annuity agreement’ was concluded. The Piano Trio in D major, ‘Ghost’, op.70/1, is burdened with a singularly unhelpful nickname, still more so than the ‘Emperor’ Concerto – for which, at least, the English-speaking world may be held solely responsible. There is, alas, little we can do about either. Crucially, this is a different Beethoven from that heard earlier: master of all he surveys, and yet more profoundly human. Sublimity – a musical idea essentially, historically defined by Beethoven’s music – is immediately apparent. So too is the increasingly prominent role played by the cello, as foreshadowed in the ‘Razumovsky’ Quartets, op.59. It is the cello that sounds a high F natural, following the unison opening, having us wonder whether we are in D minor rather than major and preparing the dramatic terrain. The second group offers lyrical contrast, not for ‘balance’, but out of what the Romantics would consider inner necessity. Intense developmental concision contributes to the thrill. Brilliant passagework is, like everything else, generative; not a single note is wasted. Rapt and, again, sublime, the slow movement offers the in-itself-dialectical contradiction of a ‘perfect dialectic’, mediated between simple and complex. Its opening theme may be found among Beethoven’s sketches for an opera on Macbeth. Whatever might have become impossible after Mozart’s death, for a few minutes sounds not only once again possible but close to realization, even if the opera itself were but a dream. Arioso or scena? Ultimately the movement remains sui generis. In ‘sonata-like density’, Theodor Adorno likened it to the slow movements of the first two ‘Razumovsky’ Quartets and the ‘Hammerklavier’ Sonata. Uniquely among Beethoven’s piano trios, there is no minuet or scherzo. The finale offers release after the slow movement, yet tension aplenty of its own too, playful in its disjunctures, disjoint even in its play. Yet, in the necessity of its contrast with the slow movement, the dialectical nature of Beethoven’s writing is not only comprehensible but, crucially, felt. As Adorno wrote: ‘In isolation, the start of the Presto might not sound very striking; but after the close of the Largo, which is darkened beyond any classicist measure […] has something of the palely comforting dawn of a day which promises to put right all the havoc that has gone before’. Out of the depths of Beethoven’s Romanticism, something of the spirit as well as the invention of Haydn lives – or, rather, is once again reborn. 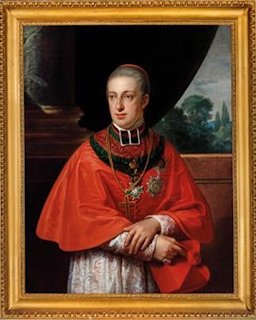 The said Vice-Kapellmeister shall be under permanent obligation to compose such pieces of music as his Serene Princely Highness may command, and neither to communicate such new compositions to anyone, nor to allow them to be copied, but to retain them wholly for the exclusive use of his Highness; nor shall he compose for any other person without the knowledge and gracious permission. In his later years, Haydn was freer from such obligations, more widely feted; indeed, his instruction of Beethoven was cut short – most likely to the relief of both – by his second, 1794 visit to London, for which he would write a further six ‘London’ symphonies, making considerable money from both composition and performance. Perhaps he, then, was the ‘turning-point’, or was it Mozart, in his not entirely successful attempt of the 1780s to live as something akin to a ‘freelance’ pianist-composer in Vienna? Perhaps – or perhaps we should rid ourselves of the idea of a turning-point, even of multiple turning-points. For whatever reasons, we seem unable to do so. The symphony seems, the ‘Jupiter’ or ‘London’ symphonies notwithstanding, to make a quantum if not necessarily qualitative leap with Beethoven and his ‘Eroica’. So do the ‘standing’ of the string quartet, and of the piano sonata; so too does that of the piano trio. And if we return to the matter of the composer’s own standing, far from unrelated to that of his music, we see Beethoven, also in Vienna, in 1809, the year the op.70 piano trios were published, as beneficiary of a very different contract. 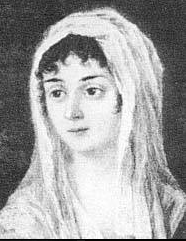 Part negotiated by Countess Erdődy – herself a pianist, separated from her husband and an ally to Beethoven in his battles with fickle Viennese taste – two princes, Lobkowitz and Kinsky, and the Archduke Rudolph, brother to Emperor Francis I, countered an offer from Kassel of Kapellmeister to Jerome Bonaparte, short-lived King of Westphalia, with a quite extraordinary ‘annuity agreement’. They offered 4,000 florins a year, against Kassel’s 3,400, with no duties other than that Beethoven must remain in Austria and give up this salary in the event of a similarly remunerated agreement. Essentially, Beethoven was to be paid by royalty not to do their bidding but simply to be Beethoven. There was, moreover, no doubting whatsoever that that is what his patrons – if one may even call them that any more – were receiving. Haydn and Mozart would always remain important to Beethoven, but they had by now been so thoroughly absorbed into his compositional bloodstream and remade in his singular image that ‘influence’ no longer really seems the right word. Emancipation from patronage and influence as commonly understood went hand in hand – in a way that challenges us to re-examine our conceptions of both. Is that not, however, what Beethoven always demands of us? The op.1 piano trios were dedicated to one of Beethoven’s earliest patron, Prince Karl Lichnowsky, a former pupil and patron of Mozart. They were first performed in Lichnowsky’s house in Vienna, where the Prince had also offered Beethoven accommodation, the composer having responded with a typical mixture of gratitude and something more Romantically ‘difficult’, suspicious both of slights and of preference vis-à-vis the rest of the household. 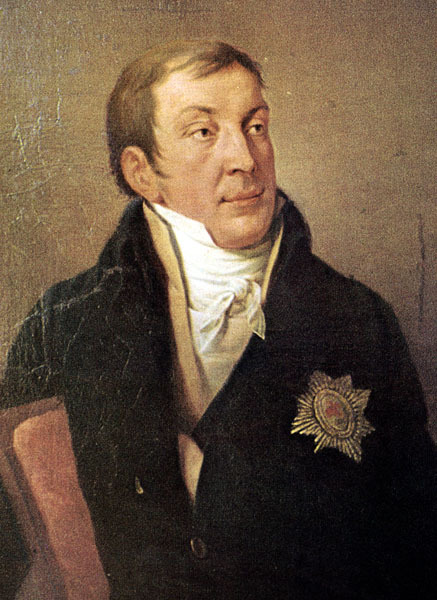 In 1800, Lichnowsky granted Beethoven an annuity: a precursor to the 1809 agreement. The second is perhaps the closest in the op.1 set to Haydn, from the first movement’s Adagio introduction, already hinting at the first subject, through the transition to that material, which arrives – as Denis Matthews noted (like Haydn’s ‘Oxford’ Symphony, also in G major) – ‘as though in mid-flight, poised on the dominant’, at the very close. The wit of the Allegro vivace, already playing with our preconceptions of form and tonality – just when will that theme come to rest in the tonic? – also has much in common with Haydn, as symphonist and chamber music composer. The move to the relatively distant key of E major for the Largo con espressione is more typical of Haydn than Mozart, although the profundity in siciliano rhythm and style is perhaps reminiscent of the slow movement in the latter’s Piano Concerto no.23 in A major, KV 488. If the tightness of its thematic organization stands in Haydn’s line, it is increasingly clear that, in character, this music owes most of all to Beethoven. The scherzo jests with material, perhaps more gruffly yet no less humorously than Haydn; the move to B minor for its trio is slightly surprising, if hardly idiosyncratic. So too is its self-conscious ‘popular’ quality, surely a little wry in its affection – and its Affekt. The coda following the Scherzo’s reprise also plays with expectations. Bumptious sforzandos continue to distinguish Beethoven’s humour from that of Haydn in the finale, which nevertheless evinces much of the latter’s spirit and formal dynamism. It is surely no coincidence that E major plays an important role here too, Beethoven already showing himself aware of tonal relationships between as well as within movements. The third of the op.1 trios has generally, not without reason, been heard as the most personal, even the most fortward-looking of the three. Is the quiet opening a premonition of that to the Third Piano Concerto, also in C minor? It is certainly simpler than the similarly subdued opening to Mozart’s, in the same key, whose complex chromaticism necessitates a forte outburst sooner than either Beethoven work. 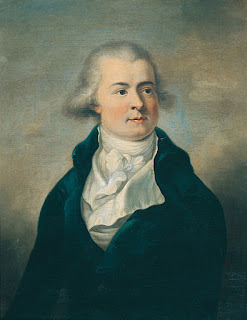 The elemental is already enthroned here in a manner typically Beethovenian, insistence upon tonic and dominant chords again and again at the close of the first movement not entirely unlike the composer’s practice in his Fifth Symphony, if without its breath-taking concision. Haydn certainly seems to have feared potential public incomprehension – remember, this was Beethoven’s official op. 1 – advising, in vain, his pupil to withhold publication, a reaction Beethoven ascribed to jealousy. For the second movement, a simple, hymnal melody is treated to a series of variations, the shift to the relative major, E-flat, indicative of a need for relative relaxation of mood as well as tempo. The richness of the coda proves prophetic for Beethoven’s later variation writing, almost a development in itself. No more than any other history does the history of musical genres move in one single direction. Here, Beethoven nominally returns from a scherzo to the very eighteenth-century minuet. Rustic, perhaps Haydnesque charm characterizes the trio’s cello melody; the piano’s syncopated jesting could only be Beethoven. And yet, the ‘Quasi allegro’ indication adds ambiguity, as well as typical urgency. 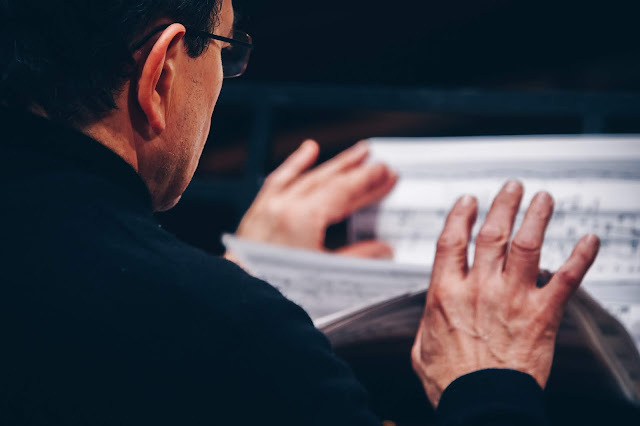 The finale’s tempo marking, ‘Prestissimo’, sets the scene for a boldness of utterance that encompasses C minor fury and, in the second subject, similarly extreme lyrical repose. A closing turn to C major seems a grim nod to convention rather than a blaze of triumph. If the Fifth Symphony would later offer the quintessential barnstorming journey from darkness to light, this is perhaps a rage quieted rather than vanquished, a resigned ‘late’ twilight astonishing in so young a composer. Haydn’s fears proved unfounded; popular and musical success were as one. Beethoven spoke dismissively of his instruction from Haydn; he seems to have wanted something more formal, more disciplined. Whatever the truth of that, it is clear that he learned far more from Haydn the composer than from Haydn the teacher. Not the least of his lessons learned was that it would often involve a great deal of work to be and to speak as oneself, to address the world as such. In the Piano Trio in B-flat major, op.97, its nickname ‘the Archduke’ a reference to its Habsburg dedicatee, there can be no doubt that Beethoven addresses his own world and indeed posterity in just such fashion. This final essay in the genre stands on the threshold of the composer’s ‘late’ period. Another turning point or at least staging post suggests itself, almost irrespective of whether we like it or not. That breadth is certainly to be felt in the opening Allegro moderato, inherent, in Kinderman’s words, in ‘the poise and inner strength of the [opening] theme itself’. At thirty-three bars in length, it is indeed ‘one of the broadest in the entire Classical repertoire’. 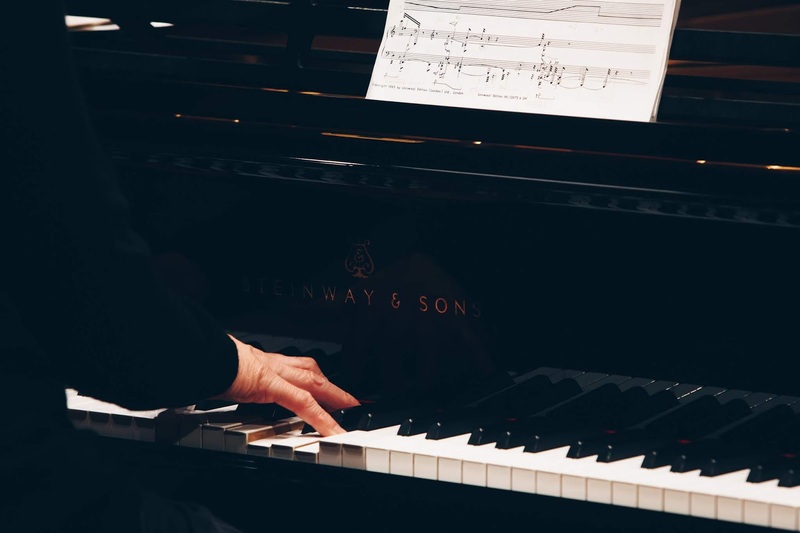 The composer’s increasing interest in key relationships of a third is once again signalled by the move to G major – the ‘true’ dominant, F major, having been voiced yet not settled upon – for the second subject, also lyrical in quality. There is no ‘textbook’ sonata form, itself an invention of a later generation, for Beethoven now, if indeed ever there were. Trills again suggest ‘late’ serenity, development in dialectically ‘strong fragility’. The scherzo’s sprung, impulsive rhythms likewise result in no loss to its undeniable lyricism. Beethoven rarely, if ever, indulges in zero-sum games: in such dialectical composition, the one impels the other. Its Trio’s chromaticism, contrapuntal preoccupations, and, most surprising of all, larger scale likewise emerge as both continuation and contrast. The Andante cantabile, in D major, a third above B flat, continues the association of thirds and stands tonally, perhaps also temperamentally, close to the first movement’s second subject. 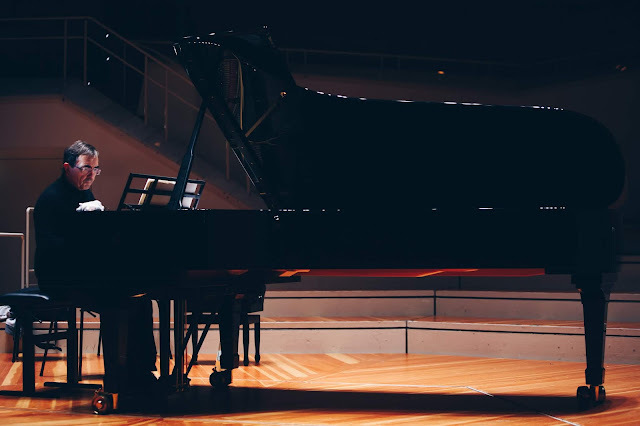 Liszt, one of the work’s most celebrated proselytizers as pianist, would arrange it for piano and orchestra as the slow introduction to both of his Beethoven cantata tributes (1845 and 1870); Daniel Barenboim has also performed it as such. 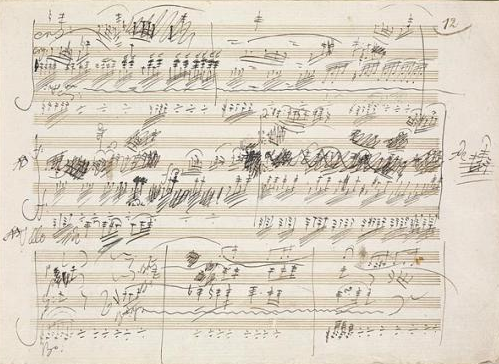 If the spaciousness of the Rondo Finale offers kinship to the first movement, and indeed takes its part in the character of the work as a whole, its Presto coda reminds us that form – that is, structure in time – will always for Beethoven be dynamic, as should be the case in performance. Beethoven wrote to Lichnowsky, in 1806, in perhaps the quintessential verbalization of his human dignity and irascibility: ‘Prince, what you are, you are through accident and birth, what I am, I am through myself; there are and will be thousands of princes; there is only one Beethoven’. Or, as Hans Werner Henze would write in his essay ‘Does Music have to be Political?’, ‘Beethoven regarded his whole enterprise as a contribution to human progress’. The claims are not so different. There has indeed only been one Beethoven in the history of the piano trio and those trios are not the least of his contributions to what we might still just think of as human progress. Even if, the state of the world being what it is, we cannot quite think in those terms right now, Beethoven’s music and his spirit hold out the hope that, one day, we might do so again.